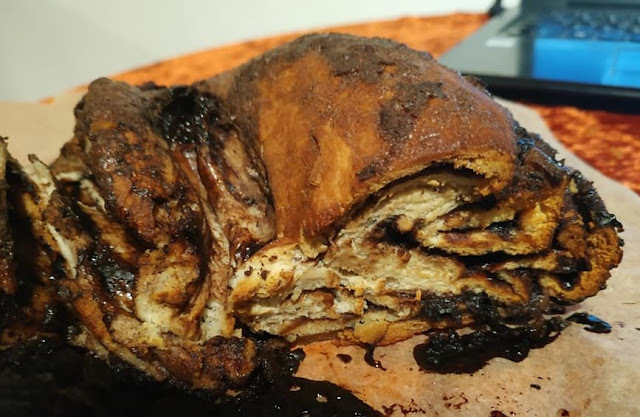 For those of you who've never had it, babka is a delicious Eastern European Jewish yeast risen cake that is filled with various, traditionally, either cinnamon or chocolate, and then twisted together to make a delicious dessert. If you've never had babka before, think of a fluffy cinnamon bun, except its made into a giant loaf. And sometimes its with chocolate filling instead of cinnamon. Sounds delicious, right? 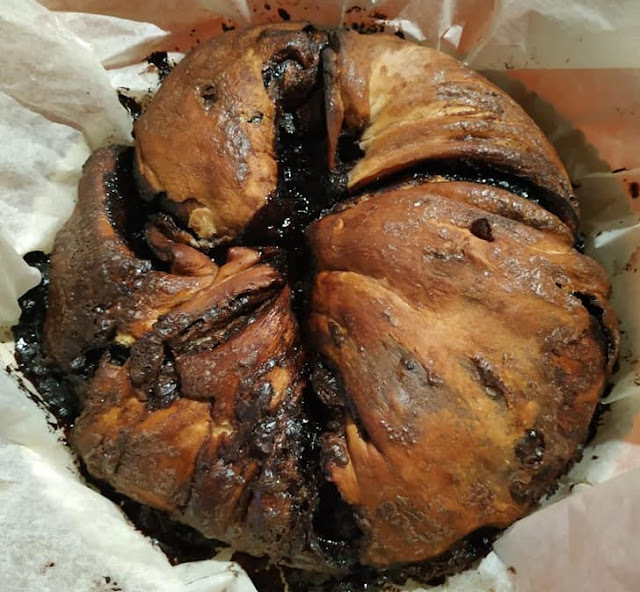 If you look up babka recipes, though, the long and involved recipe and ingredient process is enough to turn off anyone, especially someone who's never had it before and isn't sure if its worth the effort. And they're heavy on the butter and eggs and dairy, so less frugal and also not vegan or good for people with allergies. Fortunately, thanks to some advice from friends, I've learned that you can make babka super easily, and it can take as little as only two "ingredients". The recipe is quite flexible, and even the technique is pretty flexible. No, this recipe is not gluten free. It is vegan though and frugal, and a hit. I made this for my son, Lee, when he wanted a treat, as well as for a recipient of a Secret Santa game we're playing in our community. I do have a gluten free vegan babka recipe to share with you, but that'll have to be for another day. Pregnancy isn't easy! While I'm not pregnant now, I had four pregnancies, each very difficult. 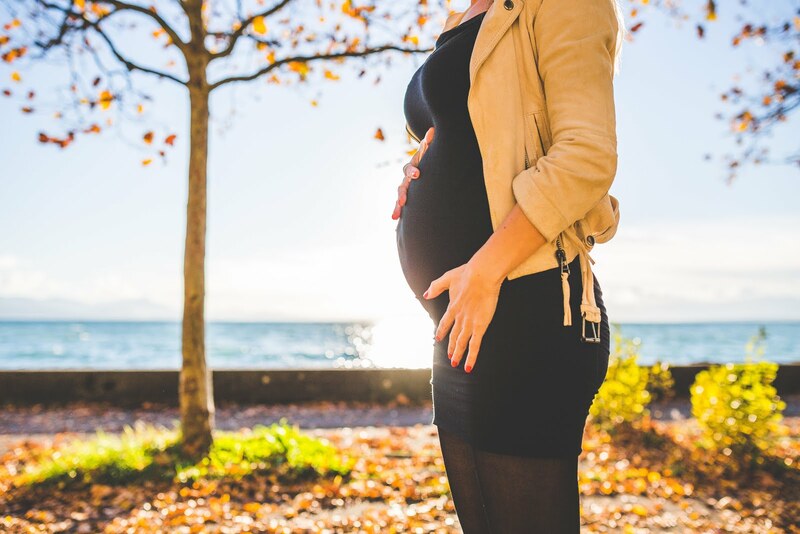 Here's some tips from a reader how to be more healthy and comfortable during your pregnancies. So you have a bun in the oven? Congratulations! Concern and emotions are bound to flow your way at this exciting time. It will seem like you cannot get away from smiles and well-meaning advice from every relative, friend, and even strangers. The world is full of information on every subject. It is normal (especially if you are a first-time mother) to feel overwhelmed and confused by the never-ending bits of information coming from every corner. A healthy mom is important during pregnancy since she will bring to term a healthy baby. Proper nutrition, adequate exercise regimen, enough rest and sleep are all geared towards pregnancy. Having less stress on your life and environment, plus support from your loved ones are important things, for you to aspire to have at this time of high expectation. Here are five conventional wisdom for a healthy and mostly bearable time during pregnancy. 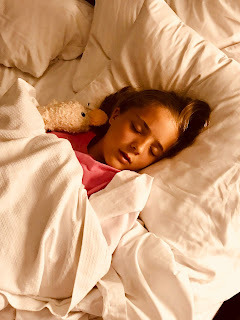 A Bedtime Solution For My Kids That Actually Works! To say I've been having sleep issues with my kids since day 1 is an understatement. When my oldest was over a year old he was waking up every 45 minutes and would only fall back asleep while nursing, the entire night long. I was at my wit's end which convinced me to sleep train him, even though it went against everything I believed as a mom at the time. From that point, the sleep issues changed over time, but not once did I have an easy time with bed time. The latest, though, hasn't been easy. Especially with my topsy-turvy schedule due to divorce related things and work, the kids have not been going to sleep consistently and easily, and they fight me about it. Bedtime with the kids constantly was involving fights with the kids, with them refusing to go to bed, and then once in bed them insisting on me lying down with them, them not falling asleep often for hours, fighting with each other, hurting me, etc. Every night bed time has been a battle. And has been for years. And since the kids fought so hard against going to sleep, I often wasn't finished taking care of the kids until well past 10 pm and often closer to 11 at night as well. Yes, it was hell. It meant that I didn't get enough down time. I didn't get enough alone time. And it meant that I needed to stay up later than I should to do any unwinding, which made me too tired. And my stress load was increased tremendously because of it. There was a cascading effect. I've been taking my kids to therapy since the divorce process intensified, and in addition to seeing the kids regularly, the therapist is also meeting with me to help me improve things with them from my end, and one thing she said she'd help me with was bed time. I didn't really believe the therapist would be able to help me. I'd tried so many things throughout the years. Sticker charts. Bribery. Getting angry. Threats. Ignoring. Bed time routines. Nothing seemed to help and I felt pretty helpless. My kids love birthday parties, but we haven't reached the teenage stage yet. Here's some ideas from a reader to make your teen the most awesome birthday party ever. There is no doubt that teenagers are some of the pickiest people in the world. Unfortunately, as much as you love them, planning a successful surprise party has never been easy. Whether you are celebrating a special achievement or surprising them for their birthday, there can sometimes be stressful obstacles along the way. Yet, this doesn’t mean it has to be impossible. In fact, everything can be organized perfectly and easily when you bear in mind some fool proof party ideas. These are guaranteed to put a smile on every teenager’s face. In honor of Valentines day, I wanted to share a post that I planned on sharing with you for a while already, but never got around to it because it was still a work in progress. But now, finally, with Valentines day looming, I got the push to get what I needed to get done (as much as I could anyhow) so I could share it with you today. Though we are in the process of getting divorced, I still don't think it diminishes from the fact that my bedroom is a romantic bedroom, even if there isn't currently romance happening there. In our old apartment, our bedroom was the storage room for nearly the entire house. There was no storage space in my house, nor space period, so things were piled up higher and higher in our room and everywhere. Instead of my bedroom being a peaceful enjoyable place to be in, it was the room in my house I least liked, and I avoided being in it whenever possible. Once we planned to move to our new house, I said that I'd make my bedroom a wonderful room, a room that is enjoyable to be in, my little haven. In addition to that, since Mike hated going away, I never really got to go on these romantic vacations to these honeymoon type suites that I'd seen in advertisements. 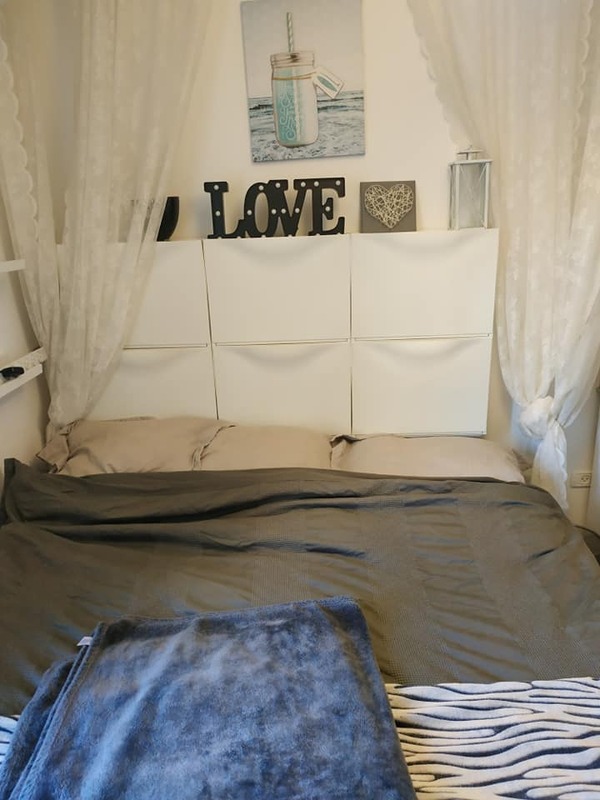 I decided that it would be cheaper, and nicer, to just design my bedroom as if it were one of those romantic getaways, so I wouldn't need to "get away" to have that nice time, but have it in my day to day life. That way every day could be a romantic stay-cation. The thing is, I had two very big issues to contend with. We were on quite a tight budget for this. The master bedroom in our house is literally the smallest room we have. It is 85 square feet total. I tried to figure out how to make this teeny space my dream bedroom, my haven, my romantic spot, a place where I'd want to spend time, and made me feel happy and smile and have nice dreams. I mentioned a few months ago that Mike and I were in the process of getting divorced. It's really been a huge upheaval in my life for more reasons than one, to put it lightly. Mike moved out a few months ago, but didn't take more than the bare minimum with him, since his living conditions were still temporary. While my current home is nearly twice the size of my last one, it is still quite small for our family of five (about 900 square feet) and therefore can get quite packed and cramped relatively quickly. A friend came over the other day to try to help me out, and she suggested that we pack up Mike's things and declutter and organize my bedroom. This was a really good suggestion, because my room is the smallest room in the house, and having an extra person's belongings in it just made it harder to live in. Additionally, my friend pointed out that packing up his things and moving them out of my bedroom would make me feel freer emotionally, without having all that excess mental baggage in my life and in my personal space. We spent an afternoon packing and packing and decluttering and reorganizing and it feels so good. While doing that, I also decluttered my things, removing clothes and other things that I no longer use, and put them in a bag to give away. And when that was done, I reorganized the kitchen, taking out all the mountain of cleaning supplies Mike had purchased from under the sink, none of which I use (I'm a dish soap, baking soda, toilet cleaner, and floor soap kind of girl). I asked him if he wanted them, and he said he didn't, so I gave them all away to people in my community via a local giveaway group. And then I reorganized under the sink so I could store my towels there, as well as cleaning supplies that I do use. I would love to say that my head feels so much freer with out all these stuff in my space, but unfortunately that isn't the case. I still have all of Mike's things packed up waiting to be picked up either by his brother or family members or by moving professionals. In the meantime, until that happens, my storage space is filled to the brim with all those things. But even though they aren't out of my house, getting those things out of my living space definitely felt like a nice positive step in the right direction, in helping me get closure, or at least as much closure as I can get while still going through the divorce process. It was quite an emotional experience, I must say, and it did put me in a funk afterwards. I was warned by my friends that it could happen, and it did. 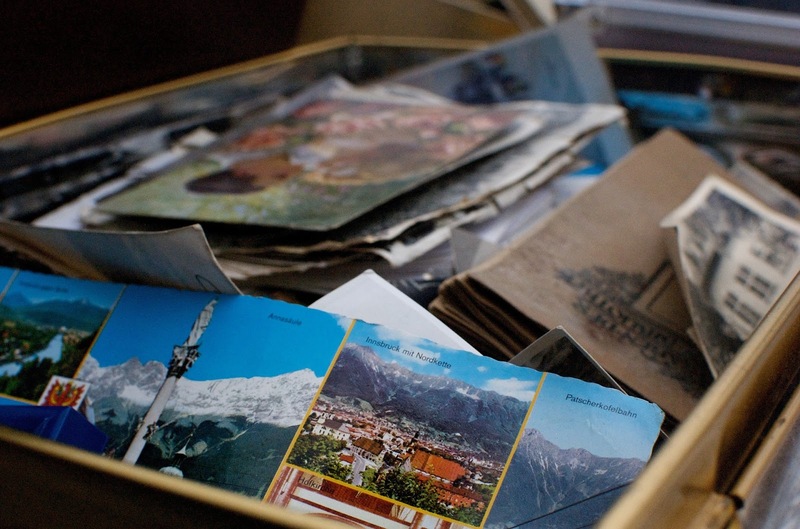 So if you are going through something similar, be kind to yourself and understand that packing up the possessions of a former loved one of yours can stir up lots of emotions, and give yourself time to feel. There still are even more of his things in the house that I'll need to pack up still, but this was the big bulk of it, and I'm glad I got it done. Reading is one of my favorite hobbies. There really is nothing like a good book. In my opinion anyhow. One of the things that I miss most about living in the States is that locally we don't have a good public library system. Some parts of the country have better than others, but where I live there is just a small public library, with no options of reserving books, no card catalog, and of course no concept of interlibrary loans. On top of that, because I don't live in an English speaking country, most of the books in the library are in the local language, and there's maybe a bookcase or two of English books at our library. The likelihood of you actually finding a book that you're looking for at the library is slim to none. To say that I miss our libraries growing up is an understatement. As one of the first in both my family and Mike's family to have kids, my children were both flower girls and ring bearers at our siblings' weddings. Here's some tips from a reader on how to keep down the cost while not detracting from this special day. 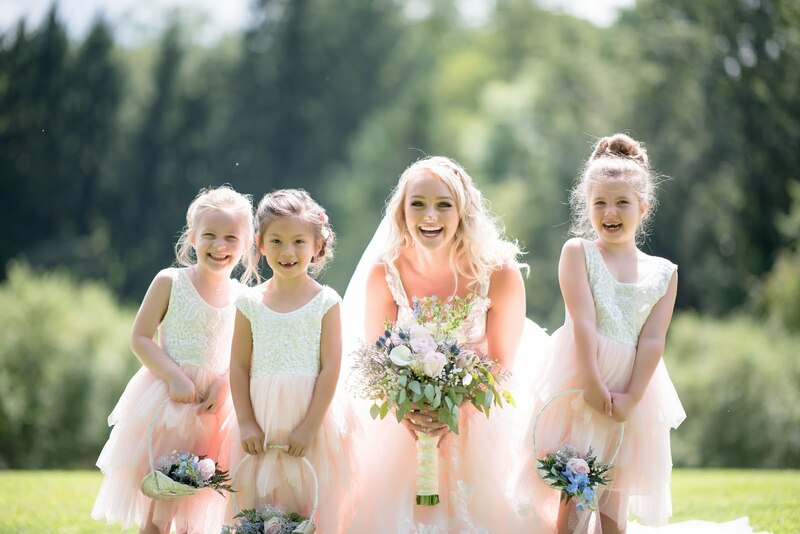 Flower girls and ring-bearers are the cutest little munchkins that add sweetness to the uber-romantic event of a wedding. It is a little girl's ultimate chance to get enjoy all the limelight, attention and feel like her favorite princess character from a Disney movie or a fairy tale. So many girls love getting dressed up in beautiful clothing, and being a flower girl is quite a wonderful experience for them. As a parent, however, it can add a lot of stress to your life, figuring out how to dress and accessorize your little girl. However, don't this stress, including the financial stress, have you turn down the opportunity. 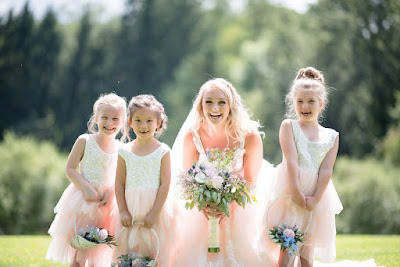 Although people will tell you flower girl dresses cost a fortune, you can easily get your daughter dressed as a beautiful flower girl without breaking the bank. 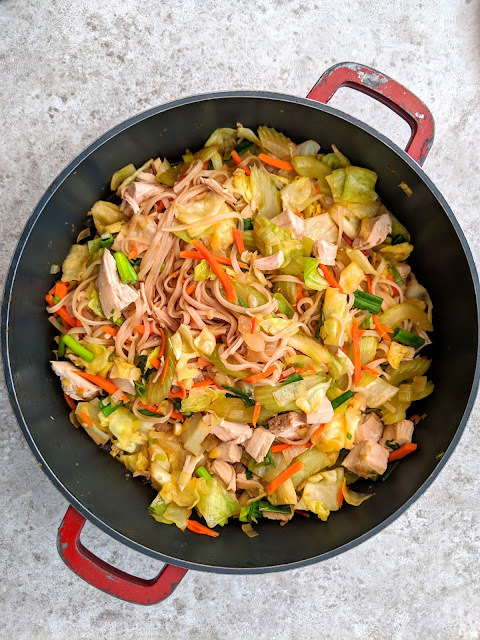 My friend Juli, of cooking blog Pandemonium Noshery, who previously shared her recipe for curried carrot soup with us, taught me about this dish called pancit bihon. I was lucky enough that I got to have her make it for me one time when she visited my house, and it was very tasty. As Juli writes, it is quite versatile and easy, which meant that when I was looking through my fridge today for ideas of what to make, and I saw some red peppers on their last legs, and zucchini that had seen better days, I knew I could use them to make this dish, along with some sea beet I picked from my yard. It was terrific! To me, this seems very much like gluten free lo mein, to be honest. But I like the fact that this is meant to be made with rice noodles, so this is the authentic Filipino recipe when made this way, and not a "mock up". I personally liked this better with a bit of hot pepper flakes added to my dish. This is one of my favorite dinners to make. It's super fast and it tastes delicious. It's also cheap and flexible, all the makings of a great recipe. The vegetables are whatever you wants, or happen to have around. Make sure that harder vegetables like carrots are cut in to thinner pieces so they cook the same. I like to make this with leftover meat, usually a roasted chicken or for this particular picture leftover turkey, which is also a great way to use up leftover turkey. However, if you want to you can saute sliced raw meat after you cook the onions but before you add the veggies just as easily. You can also leave out the meat and add vegan proteins or skip that to keep this dish vegan. If you have leftover cooked veggies those can be thrown in too at the end so they don't overcook. I've thrown in leftover cooked peas and carrots and it worked beautifully. I enjoy an alcoholic drink now and then. But for some people, alcohol is a problem, something that they are addicted to, and it wrecks your life. 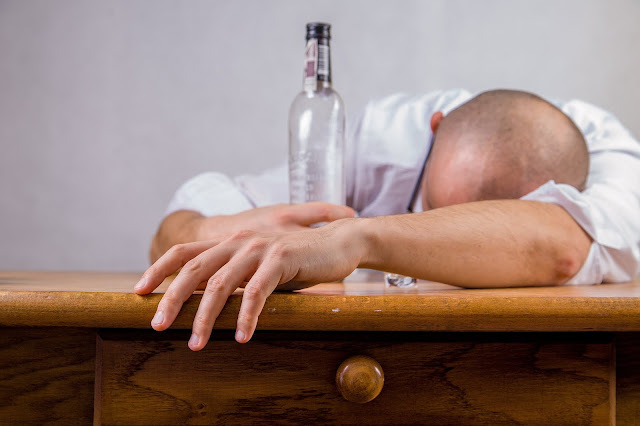 Here's some thoughts from a reader on why it is imperative to get treated for your alcohol addiction especially when you're a parent. Dealing with an alcohol addiction can be tough to overcome. Being an alcoholic for several years and constantly going after it without hesitation can stop you from living your best possible life. Being young and drinking often is usually not a big deal because there aren't children to watch over and take care of when you go home intoxicated. The main problem is when you do have a family to watch over and you need to make sure you are there for them. Being treated for your addiction means you will be a better parent, and you need to make wise choices so that you can break this habit of yours. I made pizza with my kids a few times recently, and my kids have loved the recipe I've been using. Today when we went to make pizza, I decided to have Ike practice reading the recipe I was using, and he noted, as we went through the recipe, that I wasn't actually following the recipe I had written. 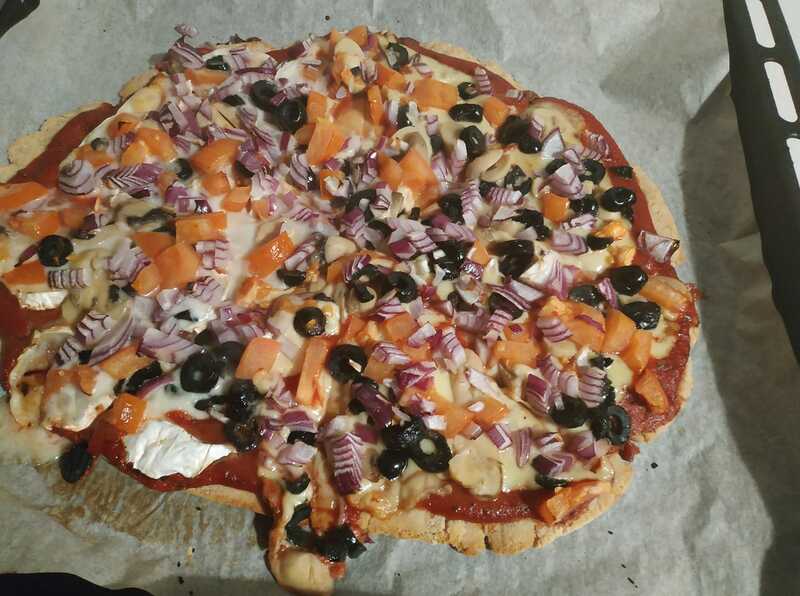 "You should rewrite the recipe the way you actually make it, so that other people can also have this pizza recipe, since it's the most delicious recipe" he told me. It's not that different from the original. But it's cheaper. And easier. And its egg free, so it is allergy friendly and works as a good gluten free and vegan pizza crust. P.S. A few times recently I bought gluten free pizza at restaurants. The crusts were so awful, they tasted just like eggy stuff, and not like a real pizza crust. It was such a pleasure to actually eat good pizza crust, made with ingredients I had in the house, and that was easy to make. This recipe is a keeper. 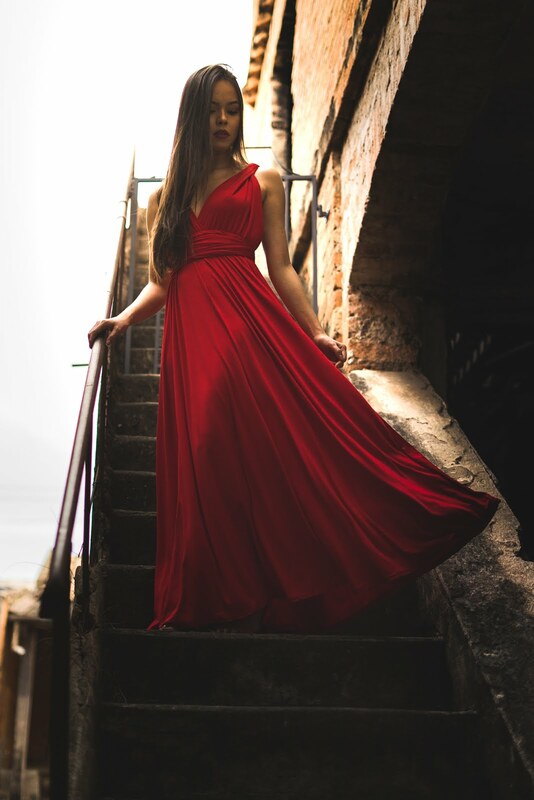 Prom is a special time, but the dresses for it can be especially expensive. Here's some ideas from a reader as to how to keep the costs down. Prom night is usually very intense and emotional moments in a high school student's life. It is that moment that they conclude basic education and step up to the real world as adults. For these, it is very important for this transition moment to be made worthwhile and live up to the expectations of the student.